Gibraltar, colloquially known as The Rock or Gib, is an overseas territory of the United Kingdom at the entrance to the Mediterranean Sea. It is bordered by Spain to the north; Morocco is a short distance across the strait to the south. Gibraltar has a population of 32,000. Gibraltar is a unique place for the curious traveller: a British community on the Iberian Peninsula, separated by a narrow gap of sea from Africa. The historic military legacy has created a veritable labyrinth inside "the Rock", with many secret internal roads and tunnels worth exploring. It is also worth climbing the Rock for its views and famous monkeys; the only extant population of wild non-human primates in Europe. In Greek mythology Gibraltar was Calpe, one of the Pillars of Hercules, which marked the edge of the Mediterranean and the known world. In 711 Tariq ibn Ziyad, the Muslim governor of Tangier, landed at Gibraltar to launch the Islamic invasion of the Iberian Peninsula. The Rock took his name, Jabal Tariq (Mountain of Tariq), which eventually became Gibraltar. Strategically important for international shipping, Gibraltar was ceded to Great Britain by Spain in the 1713 Treaty of Utrecht and was formally declared a British colony in 1830. Spain still claims sovereignty over this territory, although Gibraltarians consider themselves British with no apparent interest in rejoining Spain. The topmost part of the Rock is still used as a British military installation, and is off-limits to the public. Gibraltar is not part of the Schengen Area or the European Customs Union. This means that there are immigration and customs controls when travelling between Spain and Gibraltar. There are also immigration controls for air travel from the UK or EU countries. Citizens of the European Union are required to have a national identity card or passport, while all others are required to have a passport to enter. The entry requirements for Gibraltar are not the same as the United Kingdom. Unless exempt from visa requirements, to enter Gibraltar you must have either a Gibraltar visa (to be applied for separately from a normal British visa at a British embassy/consulate), a UK Residence permit/visa valid for at least one year or more, a biometric Residence permit or a UK multi-entry visa valid for 6 months or more. Or you need a UK indefinite leave to remain permit holder and the ability to prove that you have not been absent from UK for more than 2 years. If arriving by air, Gibraltar airport staff will refuse entry to anyone who does not comply with these requirements. Although entry into Gibraltar from a Schengen country will technically invalidate a single-entry Schengen visa, in practice passports are visually checked but not stamped on entry by land, and those with single-entry visas usually get re-admitted to Spain without any problems. This arrangement does not apply to those entering or exiting by air, and you will need a multiple-entry Schengen visa should you decide to do so. 1 Gibraltar International Airport (GIB IATA or North Front Airport). Has daily scheduled flights to and from London Heathrow and London Gatwick. There are also flights from Bristol, Manchester and Casablanca (via Tangier). The most popular alternative airport for Gibraltar is 2 Málaga Airport (AGP IATA) in Spain, some 120 km to the east, which offers a wide range of destinations. Málaga can be reached by bus, but there are only a few services available per day and the trip is approximately 3 hours. 3 Jerez Airport (XRY IATA) is normally the second choice, despite being closer to Gibraltar. Queues at the border may make it less time-consuming to park cars in the neighbouring Spanish town of La Línea de la Concepción and walk across. While there are charges for parking in La Línea immediately next to the border, there is free parking throughout town and next to the stadium if you are willing to walk an extra 1 km. Parking on the Spanish side of the border also has the advantage of avoiding Gibraltar's complex one way system with very narrow and badly signposted streets, and limited parking. The land border is open 24 hours a day, though expect delays when planes are landing - the only road into Gibraltar runs right across the airport runway! Motorists, and on occasion pedestrians, crossing the border with Spain have been subjected to long delays and searches by the Spanish authorities. Spain has closed the border during disputes or incidents involving the Gibraltar authorities. Despite being an overseas territory of the United Kingdom, traffic in Gibraltar is on the right side of the road, the same with the rest of continental Europe. At La Línea, Spain across the border, there are regular buses to and from Seville, Malaga, Cádiz, Granada and hourly to Algeciras (the latter one direct or with stops on the way). The station in La Línea is a five-minute walk from the border with Gibraltar. The bus station in Algeciras is opposite the railway station. To go to the bus station from the harbour, turn left, walk along the main street for about 100m and then turn right. Continue about 200 m along this street to the small building with railways. There is a small sign for the bus stop. This bus can get you to La Línea for €2.35 (January 2013), and it goes every 30 minutes during the day. Some buses run non-stop while others make intermediate calls. In La Línea you will arrive at the bus station about 500 m from the border with Gibraltar. In the summer it can take up to 2 hours to cross the border with a car. Tour buses and coaches can be available at all Andalucian major cities, holiday resorts and some mainland hotels. There is a passenger service for Moroccan workers in Gibraltar, although it only runs once per weekend. Gibraltar receives a large number of visits from cruise ships, and the strait of Gibraltar is one of the busiest shipping lanes in the world. Over 200 cruise ships call each year on the Port of Gibraltar with a passenger total approaching 350,000. The cruise port is at the western end of Waterport Road, about 1.3 km from Casemates Square and Main St. A port call is one of the easiest ways to get in to visit Gibraltar, especially given the occasional delays at the land border crossing with Spain. There is no train station in Gibraltar. The nearest is in San Roque-La Línea, which is outside of La Línea proper and about 15 km from the Spain-Gibraltar border. Buses and taxis are available for the last leg from the train station to Gibraltar. Gibraltar is less than 7 km² in size, so much of it can be seen on foot. Some of the roads (especially up to the Upper Rock) are very steep. Taxis will take the strain out of the climbs, and all the taxi drivers seem to know all the Barbary macaques by name. Buses can be a cheap option to expedite things. Though Gibraltar's area is small, it is long and thin, so distances can be a bit further than expected. Buses can be paid for in pounds or euros. For at least some routes, the option is either for a single journey, or a pass good for unlimited rides that day. If you're planning to use the bus more than once, a one-day pass is best. Bus route 2 goes by the cable car station, and is the only bus that visits Europa Point - the southernmost point in Gibraltar, and the one with the view of Africa. Bus times are available online. Most locals also converse in Llanito, which is essentially a mix of Andalusian Spanish and British English, a creole unique to Gibraltar. Many businesses such as cafes and restaurants employ monolingual Spanish workers from across the border. In restaurants, it may not be that different from dining in Spain, in terms of language. Stop by the tourist office in Casemates Square (if entering by land, this is immediately after passing through Landport tunnel). The tourist office will give you a map and recommend the following basic itinerary using the blue city buses (check fares). Take bus #2 from Market Place (around the corner of the tourist office) to Europa Point. Take pictures and enjoy Europa Point with the rest of the tourists. Then take the bus #2 back towards Market Place but get off at the cable cars. Ask the driver for help, but you will see the cable cars before the stop. Take the cable cars up to see the Upper Rock and Nature Preserve. Then take the cable car down and window shop Main Street back to Landport tunnel. Cable cars run from 09:30 until 17:45 to the Upper Rock, but the last car up the hill might leave as early as 17:00. A "cable car and apes" ticket costs £8 return, while a ticket including entrance to St. Michael's Cave and the Siege Tunnels costs £16. Entrance to each sight costs £8 without this ticket. Alternatively, a 'Taxi-Tour' (typically for 8 people in an MPV) will cost £16 for a 1½-hr tour, and this includes the fees for entry to the Cave, tunnels and Upper Rock. 1 Europa Point. The southernmost point of Gibraltar, where the Atlantic meets the Mediterranean, and from which the coast of Africa can be seen. 2 Upper Rock. Military installation, and nature reserve where the famous monkeys live (Barbary Macaques). 3 Gorham's Cave complex. A combination of four caves of such importance that they are combined into a UNESCO World Heritage Site. The caves are Gorham's Cave, Vanguard Cave, Hyaena Cave and Bennett's Cave. 4 St Michael's Cave. An impressive natural grotto used by the neolithic inhabitants of the Rock. 5 Siege Tunnels. A system of tunnels dug during the Great Siege which acted as a defence system. Dolphin Watching. Short trips in the bay (several times a day) - there are plenty of playful dolphins to see. 6 Gibraltar Museum, 18-20 Bomb House Ln, ? +350-20074289, e-mail: enquiries@gibmuseum.gi. M-F 10:00-18:00, Sa 10:00-14:00, closed on Sundays. Admission £2 for adults, £1 for children under 12, free for children under 5. 7 The Mediterranean Steps. For those not afraid of climbing up steps cut out of rock, and with a head for heights, this is a hefty hike that starts at Jew's Gate bird observatory on the south end of Gibraltar, Queen's Road near Engineer Road and winds its way up the east side cliff face of the Rock to the summit. The views are fantastic, and the path underwent renovation work in 2007, so it is less treacherous than in the past. If you don't fancy the uphill struggle, you can always get the cable car up and then come down this way, although if trying to reach the steps from the cable car there are no signs posted on how to reach them until one has found the beginning of the steps. Make your way to the ape den, continue walking, then take the left (uphill) turn toward the military O'Hare's battery. The steps begin and end here. 1 Dolphin Safari, 6 The Square, Marina Bay (cross the runway and take the first exit at the roundabout on the other side of the runway down Bayside Road. Approximately 100 metres walk down a small road on the right just past the pay and display carpark where the sign reads Marina Bay. At the end of that road in the bottom left hand corner walk through the black iron gates to see the two gold dolphins and the check-in offices), ? +350 200 71914. 10:00 - 18.00. See the wild Common, Striped and Bottlenose dolphins of Gibraltar so close you could almost touch them. Sail in complete comfort, this boat has front-line cushioned seating and cushioned seating in the indoor observation lounge. Adults £25, children £15. The currency of Gibraltar is the Gibraltar pound (GIP) - equivalent in value to the British pound sterling. British pounds are accepted everywhere in Gibraltar, in addition to the local version. Gibraltar pounds aren't accepted outside of Gibraltar - not even in Britain. If you are travelling to Britain you will be able to exchange them there at a bank for a service fee. If you are travelling elsewhere, then you may not be able to exchange them at all. Best to change any leftover Gibraltar pounds before leaving (free of charge to British pounds), and to ask shops to give your change in UK notes if you aren't going to spend them there. Gibraltar coins are identical in denomination, colour and size to sterling coins, and tend to circulate in the UK without question. Most shops in Gibraltar will also accept U.S. dollars and euros, with the risk of getting a poor rate of exchange. Government offices and post offices do not accept foreign currency. Credit and debit cards are sometimes not accepted in some shops or, especially, restaurants. If you like to sit outside and watch the world go by, go to Casemates Square where a number of pubs and restaurants serve fairly similar meals. 1 Cafe Solo, Grand 3, Casemates Square, ? +350 200 44449. Good Italian. Irish Town, the road which runs parallel to Main Street, has a number of pubs. 2 The Clipper, 78 Irish Town, ? +350 200 79791. 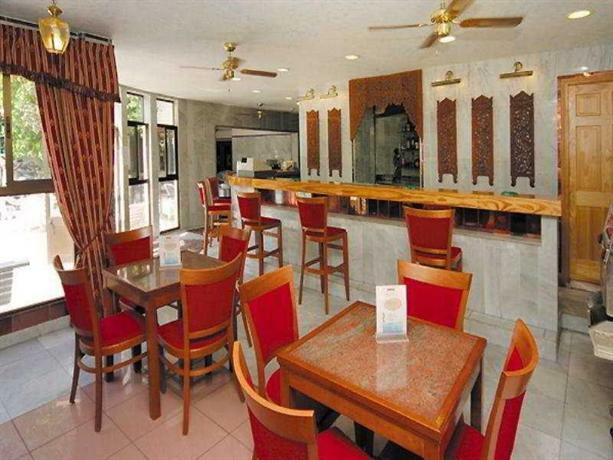 Good food, friendly staff, and satellite television. They serve a hearty English breakfast. 3 Corks, 79 Irish Town, ? +350 200 75566. M-Sa 08:00-18:00; Su closed. Serves substantial lunches. If you fancy dining waterside the marinas are worth trying, and includes the most southerly pub in Europe. Good food, draught Bass and many others on tap. Happy hour daily at 18:00. Full Sunday lunch available. 5 Wembley Bar. In the heart of the south district, it is the most southerly pub in Europe. Traditional english pub with views to Africa. Marina Bay is home to several restaurants. Bianca's and Charlie's Tavern at Marina Bay are worth a visit, the former being very well known for its busy ambience. Gibraltar's first Mexican restaurant has opened in Marina Bay. 7 Charlie's Steak House & Grill (Charlie's Tavern). Ocean Village, Gibraltar's newest marina, is an extension to Marina Bay. It is home to several pubs and restaurants, including a Chinese, and an Indian. 8 O'Reilly's. On Leisure Island, part of the Ocean Village marina complex, the traditional Victorian Irish bar has been designed and built by Ireland's leading design teams. 9 The Gibraltar Arms, 184 Main Street, ? +350 200 72133, e-mail: gibraltararms@events.gi. Next to Stag Bros' and is open from 07:30 (09:30 on a Sunday) serving meals all day until late. 10 The Star Bar, 12 Parliament Ln, ? +350 200 75924. Holds itself out as Gibraltar's oldest bar. With a menu and drinks selection to appeal to most tastes the pub seeks to cater to a wide clientele. 11 The Lord Nelson, Casemates Square, ? +350 200 50009. M-Sa 11:00-14:00; Su 11:00-00:00. The official home of the Gibraltar Rugby Club and Live Music Venue of the Year, top entertainment on stage every night. Offers free WiFi. 12 The Horseshoe, 193 Main St (near King St & Bombhouse Lane & Gibraltar Museum). Small pub with nice outdoor seating, decent prices, homemade pies on the menu, and offers the local beer Gibraltar IPA on tap. Free wifi, ask a staff member. 13 Jury's Café and Wine Bar, 275 Main St (near the Gibraltar Bookshop and Governor's House), ? +350 200 67898. A nice little cafe located on main street. 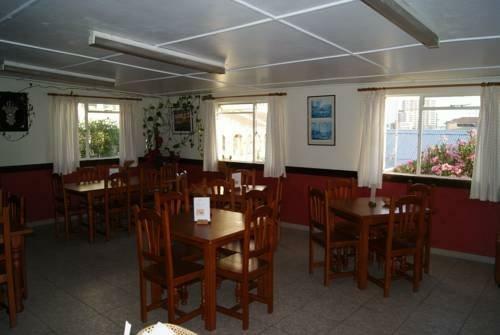 Good coffee, breakfasts, simple meals and takeaway sandwiches. Sai Darbar, 6a Prince Edward Rd, ? +350-20061312. 11:00-15:00, 19:00-23:00. Vegetarian take-away restaurant Vegetarian burgers £3.50. There are a number of kosher restaurants, bakeries and minimarkets in Gibraltar. It is not the only place you could stock up on kosher food when you're travelling in the Costa del Sol; there are many kosher shops and restaurants in Marbella, Torremolinos and Málaga. 1 Emile Youth Hostel, Montagu Bastion, Line Wall Rd (just off Casemates Square), ? +350 51106, +350 57686000, fax: +350 51106, e-mail: emilehostel@yahoo.co.uk. Check-out: 10:30. A family-run hostel. Not the best, but closest thing to the border. They charge £5 for washing clothes and £5 for the wireless internet £5. You are not allowed to bring your own food into the hostel (probably because they have their own cafe). Although expensive, it's a quiet place near the border. Rates from £18 for a bed in a dorm, £25 for a single room. Cash only. 2 The Cannon Hotel, 9 Cannon Ln (Just off the middle of Main Street), ? +350 20051711. Breakfast from 08:30 to 10:00. Rates start at £35 for a single room with a shared bathroom, including breakfast and wifi. 3 The Bristol Hotel, 8-10 Cathedral Square (Near the south end of Main Street), ? +350 20076800, e-mail: reservations@bristolhotel.gi. Rooms from £69. 4 O’Callaghan Eliott Hotel (The Elliot Hotel), 2 Governor’s Parade (Just off Main Street, located roughly half-way between the Cannon and The Queens), ? +350 20070500, e-mail: eliott@ocallaghanhotels.com. Good location and good quality. Rooms from £120. 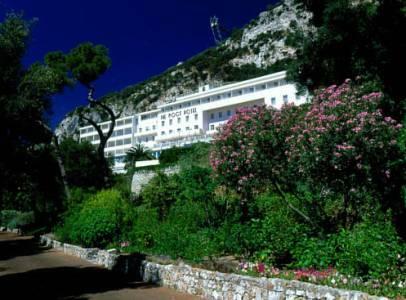 5 The Rock Hotel, 3 Europa Rd (About 400 metres south of the Entrance to Main Street, up a fairly steep hill), ? +350 20073000, +350 20073513, e-mail: reservations@rockhotel.gi. Not as central as some of the others mentioned here, but has great views of the bay. 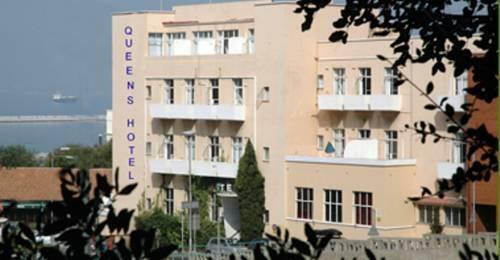 It's one of the more expensive hotels in Gibraltar and was where John Lennon and Yoko Ono got married. All rooms have a sea view. Rooms from £105 off-season, from £135 in summer. 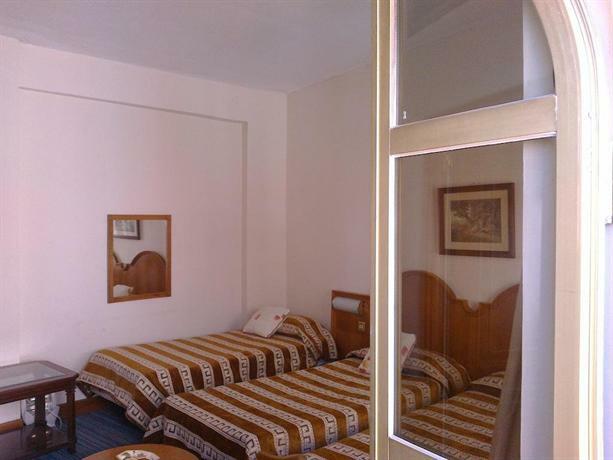 6 The Caleta Hotel, Catalan Bay, ? +350 20076501, e-mail: reservations@caletahotel.gi. On the opposite side of the rock from the town, about 2 miles (3.2 km) by road. The upside to the location is a quiet, relaxing atmosphere, one that you're unlikely to get in the Town Centre. Gibraltar has a favourable corporate tax regime, and many online gambling websites choose to make Gibraltar their base of operations and employ thousands of people in an ever-thriving jobs market. 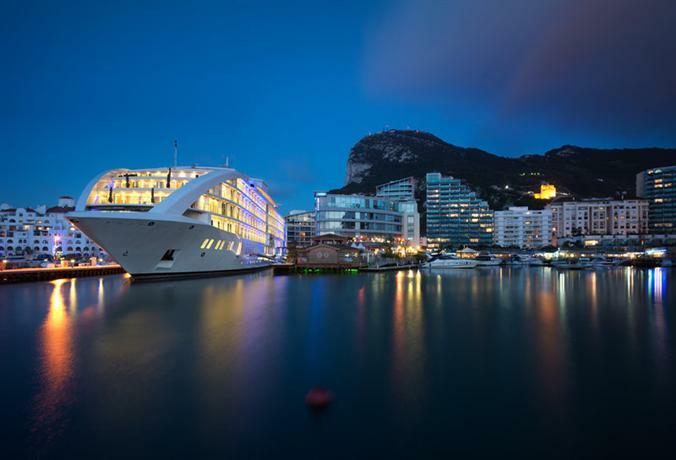 Jobs in Gibraltar, CTS Business Exchange, Ocean Village, ? +350 216 44400. Gibraltar's international telephone code is +350. All landline numbers in Gibraltar have been prefixed with 200 since 2008, making all numbers 8-digit long now. If you come across with a 5-digit number, just prefix it with 200 (and, of course, with the country code prior to that if you are calling from out of Gibraltar). There have been reports, however, of people being attacked on the Spanish side of the border while returning to Gibraltar on foot late at night. It might be smart to take a taxi home after dark if you have been drinking at the bars in Spain, especially if you are by yourself. Gibraltar is part of the European Health Insurance Scheme and has a health service similar to the United Kingdom, with a modern hospital. If you are from a participating country, your EHIC card will entitle you to full free emergency medical treatment. The Barbary macaques are wild animals and do bite. It is not advisable to feed the Barbary macaques, despite encouragement from irresponsible taxi drivers. In addition, there are kiosks irresponsibly selling 'monkey food', further encouraging this. It is illegal, can incur hefty fines and is bad for their health. Never try to pick up a baby Barbary macaque: its mother will not be happy and then neither will you. If you are bitten by a Barbary macaque, you will require hospital treatment. Whilst the Barbary macaques are rabies-free, they can infect you with hepatitis, and they are most aggressive on the top of the rock, as the most successful animals claim the uppermost reaches of the rock, with their less successful brethren being forced down the rock in their social pecking order. Belgium, 47 Irish Town, P.O. Box 185, ? +350 2007 8352, fax: +350 2007 8646. Denmark, Cloister Building, Market Lane, P.O. Box 554, ? +350 2001 2700, fax: +350 2007 1608, e-mail: consul2danconsul.gi. M-F 09:00-13:00 and 15:00-17:00. Finland, 20 Line Wall Road, P.O. Box 130, ? +350 2007 5149, fax: +350 2007 0513. France, 209 Main Street, ? +350 2007 8830, fax: +350 2007 5867. Greece, Suite 1C, Imossi House, 1/5 Irish Town, P.O. Box 167, ? +350 2007 3500, fax: +350 2007 3550. Iceland, 316 Ocean Hights, ? +350 5434 2000, fax: +350 2004 6857, e-mail: anne.lundin@danish-alteriors.com. 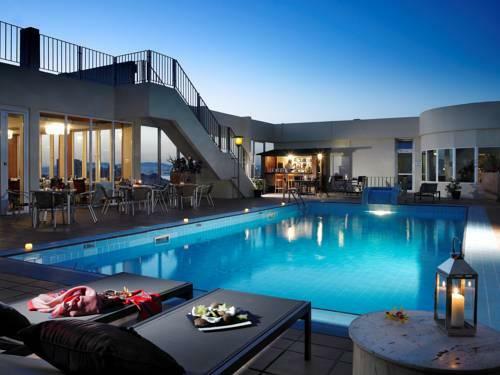 Israel, Marina View, 39 Glacis Road, P.O. Box 238, ? +350 2007 7735, fax: +350 2007 4301. Italy, 28 Irish Town, ? +350 2004 7096, fax: +350 2004 5591, e-mail: italy@gibraltar.gi. Malta, 20 Admirals Place, Naval Hospital Hill, ? +350 5733 9000, e-mail: maltaconsulgibraltar@gov.mt. Netherlands, Irish House, 92 Irish Town, ? +34 633 893 332, e-mail: consul.netherlands@gibtelcom.net. Norway, Sandpits Vaults, Off Rosia Road, P.O. Box 133, ? +350 2007 7242, fax: +350 2007 7342. M-F 09:00-17:00. Poland, 35 Governor's Parade, ? +350 2007 4593, fax: +350 2007 9491. Sweden, Cloister Building, Irish Town, P.O. Box 212, ? +350 2007 9200, fax: +350 2007 6189, e-mail: consulgeneral@swedishconsulategibraltar.com. M-F 09:00-13:00 and 14:00-16:30. 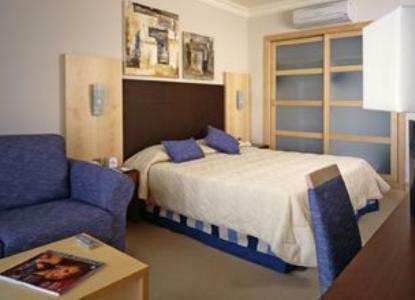 Switzerland, Suite 206, Neptune House, Marine Bay, ? +350 2005 1051, fax: +350 2004 5450, e-mail: gibraltar@honrep.ch. Thailand, 120 Main Street, ? +350 2007 7890. United Kingdom, ? +350 200 51725. Consular assistance for British nationals is provided by HM Government of Gibraltar Civil Status and Registration Office. People from Gibraltar refer to themselves as Gibraltarian or 'Llanito' pronounced Ya-ni-to. Even though the vast majority of Gibraltarians speak Spanish (with a local dialect), they are easily offended if referred to as Spanish because they regard themselves as Gibraltarians and are very proud of their identity. In fact, Gibraltarians have voted overwhelmingly to remain British in several referendums. Some Gibraltarians also feel sensitive to the erroneous use of the term 'colony' due to its connotations of being a deposited population or ruled by a foreign country and lacking in self-government, none of which apply to Gibraltar either now or historically. Additionally, the term 'colony' is legally incorrect; it is a 'British Overseas Territory'. The term 'colony' wasn't used in reference to Gibraltar until the 1830s, at which time there were other places that were colonies and Gibraltar was grouped with them under the term colonies, despite the circumstances being different. Although the popular view is that the Spanish Government is the cause of many problems concerning Gibraltar, there is no animosity directed by Gibraltarians towards Spanish individuals in general; the thousands of Spanish tourists and workers experience no problems. Recent airport agreements have opened up the relationship Gibraltar has with Spain. You could travel across the border to visit Cádiz in Southern Spain, or cities such as Algeciras or Jerez de la Frontera. Or you could travel south, across the Mediterranean, and visit Morocco, with places such as Tangier and Casablanca ready for visitors. The crime rate is low. Petty crime occurs, such as pickpocketing and theft of unattended baggage. Unattended vehicles are occasional targets. Exercise normal precautions and ensure that your personal belongings, passports and other travel documents are secure at all times. Persons travelling overland between Gibraltar and Spain may experience delays at the border. Occasionally, overland travel is completely cut off, leaving air travel as the only way into Gibraltar. Medical facilities and services are generally good. Some clinics and hospitals may expect immediate cash payment for medical services. Although Gibraltar is a British territory, traffic drives on the right. You can drive on a valid Canadian driver’s licence. The currency is the Gibraltar pound (GIP), which is at par with the pound sterling (GBP). Credit cards and traveller’s cheques are widely accepted. Bank of England banknotes and coinage circulate in Gibraltar. Gibraltar is subject to periodic droughts. It is also located in an active seismic zone.